East Iceland is a fantastic place for hiking. There are vast areas of stunning landscape, and many marked and unmarked hiking trails to explore. This list here is made for inspiration, but many of these places require local advice and some preparation before setting off hiking. Aside from these few hiking trails, there is much more to choose from for the eager hiker. The hike up to Hengifoss waterfall is one of the more popular hiking routes in East Iceland. This is an easy hike of roughly 2 hours in Fljótsdalur valley near Egilsstaðir. In addition to the beautiful Hengifoss at the top of the path, you will also see the smaller but no less charming Litlanesfoss waterfall as well as a great view over the surrounding valley. Between Egilsstaðir and Borgarfjörður is a stunning place named Stórurð. On the way there you will walk across arid hills before reaching this incredible place of large rocks surrounded by pristine water. To top of this splendid place is the stunning Mt. Dyrfjöll that reign above. This is a 5 – 6 hour easy and well-marked hiking trail. When driving between Breiðdalsvík and Djúpivogur, you will come across the Streiti, a beautiful rocky coastline. The marked trail around the area takes you along the coast, past the local lighthouse and to a small cove hidden among the cliffs. The short hike takes around 30 minutes of easy walk. A walk around the area is included in our Streiti coastline tour, along with a few other hidden gems of the region. In the East Iceland highlands, there lingers a canyon named Hafrahvammagljúfur. This is a secluded place that is not visited by many but offers a short but beautiful marked hiking trail on the brink of the ravine. To reach this place, however, requires at least a medium size 4×4 car. The hike itself is an easy 30 to 60-minute walk around the area. When traveling in the East Iceland highlands, you can also find the highland guesthouse Laugarfell. Next, to the guesthouse, there is an excellent area for hikes. Those include a hike upon Mt. Laugarfell as well as a trail visiting several waterfalls in the neighborhood. In Breiðdalur valley there is a little-known waterfall falling from beneath a stone arch. While the waterfall can be seen from a nearby road, it is best enjoyed when hiking the short way up to it. For those of you that are a little more adventurous, you can even hike up to the stone arch above the waterfall. 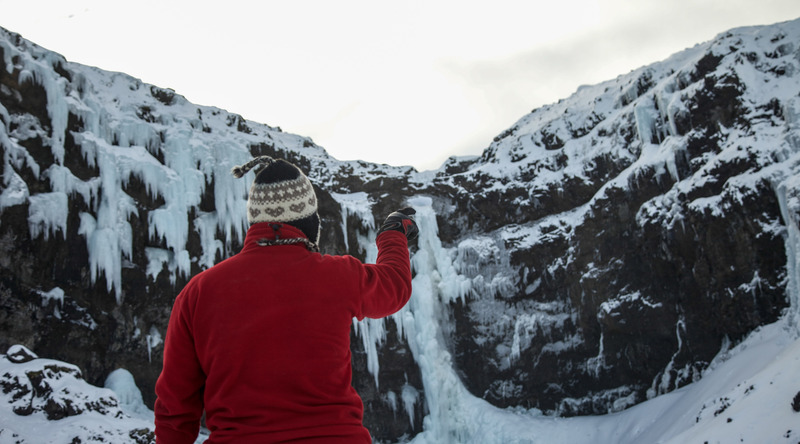 A visit to this waterfall is included in our tour around Breiðdalur valley as well as many other secrets of the area. Víknaslóðir is a common name for an extensive collection of hiking trails around near Bakkagerði village in Borgarfjörður. The paths extend between small bays and inlets and mountain passes. There are many hiking trails to choose from. We recommend speaking to locals in the area for the most suitable trails for your time and interest. Between Fáskrúðsfjörður and Breiðdalur there is an old historic hiking path across the mountains. This crossing was the only connection between the communities aside from by boat. While hiking up the mountain, the trail is on the foot, but the terrain is rather easy. This hike will give you a spectacular view across three different valleys and a new view of the surrounding mountains. Before setting off on any hike, we recommend asking for local advise as well as checking out the website for Safe Travel in Iceland for information. On that website, you can also leave your travel plans for the Search and Rescue to use in case you do not make it to your planned check in place. We also recommend downloading an app called 112 Iceland where you can check in your current hiking locations (leaving breadcrumbs) as well as request emergency help by pressing one button.